With PayNearMe, you can pay your healthcare bill* in cash conveniently at a local retailer such as Family Dollar Store, 7-Eleven, or Ace Cash Express. After you set up your account from the CompleteCare website, you will be sent either an email or text…your choice! PayNearMe will then send you a special code to use. 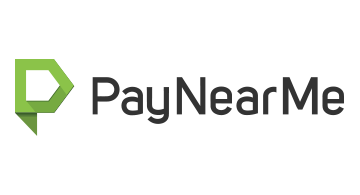 If you request an email, print the email and take it to your PayNearMe local authorized retailer. Hand the cashier your printed code and your cash payment. The cashier will give you a receipt. Your payment will be posted to your account within 24 business hours. If you request a text to your smart phone, show your PayNearMe local authorized retailer the text, pay cash, and the cashier will give you a receipt. Your payment will also be posted to your account within 24 business hours. Keep your special code from your email or your text, and use it every time you want to make a payment on that account. What a great convenience! *For any healthcare facility that uses CompleteCare as its billing partner.